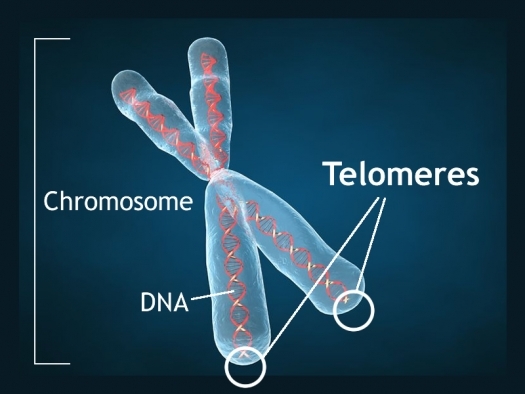 Telomeres are bits of genetic material at the end of each strand of DNA that protect chromosomes as they replicate. 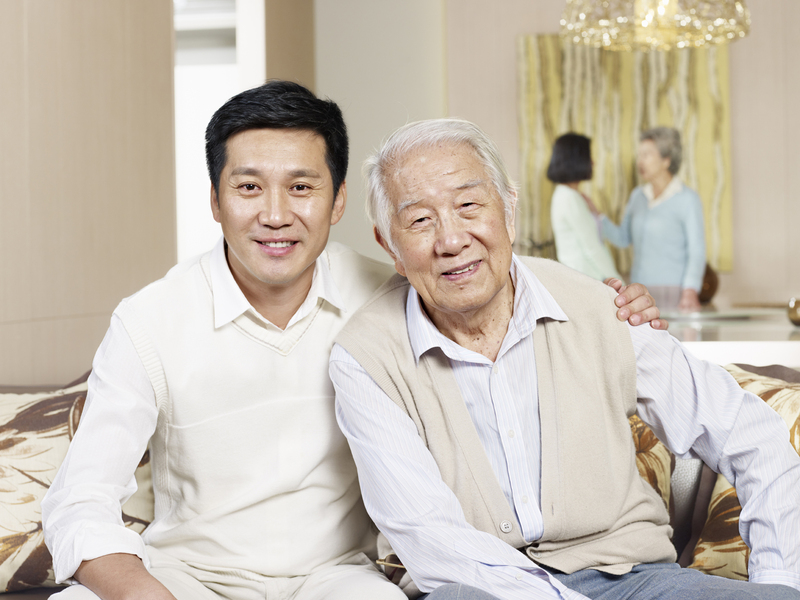 Short telomeres have been linked to aging and a variety of medical and psychiatric diseases. Stress and depressive episodes can shorten telomeres, while treatment with lithium can lengthen them. 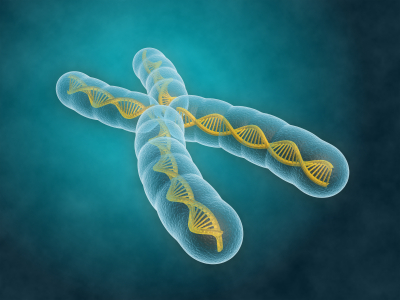 Telomere length is a heritable trait, and a 2017 study by researcher Timothy R. Powell and colleagues suggests that shorter telomeres are a familial risk factor for bipolar disorder. The study, published in the journal Neuropsychopharmacology, compared the telomere lengths of 63 people with bipolar disorder, 74 of their immediate relatives (49 of whom had no lifetime psychiatric illness, while the other 25 had a different mood disorder), and 80 unrelated people with no psychiatric illness. The well relatives of the people with bipolar disorder had shorter telomeres than the unrelated healthy volunteers. Relatives (both well and not) and people with bipolar disorder who were not being treated with lithium both had shorter telomeres than people with bipolar disorder who were being treated with lithium. Another finding was that longer telomeres were linked to greater volume of the left and right hippocampus, and improved verbal memory on a test of delayed recall. This study provides more evidence that taking lithium increases the volume of the hippocampus and has neuroprotective benefits for people with bipolar disorder. A collaboration between Norwegian and French researchers led by Bruno Etain has clarified the pathway by which childhood trauma is linked to worse outcomes among people with bipolar disorder. The researchers, who presented their work in a poster at the 2015 meeting of the Society of Biological Psychiatry, replicated earlier findings by this editor (Robert Post) that patients who experienced trauma as a child had a more adverse course of bipolar disorder. Etain and colleagues found a link between childhood trauma and an earlier age of onset of bipolar disorder, rapid cycling, suicide attempts, and cannabis misuse. The researchers identified more than 550 patients with bipolar disorder, who answered questionnaires about their history of bipolar disorder and childhood trauma. Their DNA was also analyzed, and the researchers found that the effect of childhood trauma on age of onset was mediated by the presence of common genetic variants in proteins related to stress (the serotonin transporter) and immune function (Toll-like receptors). They also found that the traits of mood lability (or moodiness) and impulsivity mediated the effects of trauma on clinical outcomes. The lasting epigenetic effects of child maltreatment and adversity noted in the above abstract are consistent with a large literature showing more epigenetic effects in these individuals than in controls. While genetics are important, the impact of the environment is also substantial. Two studies that incorporated data from more than 50 labs worldwide have linked mutations in more than 100 different genes to autism. Scientists have a high level of statistical confidence that mutations in about 60 of those genes are responsible for autism. So-called de novo mutations (Latin for “afresh”) do not appear in the genes of parents without autism, but arise newly in the affected child. 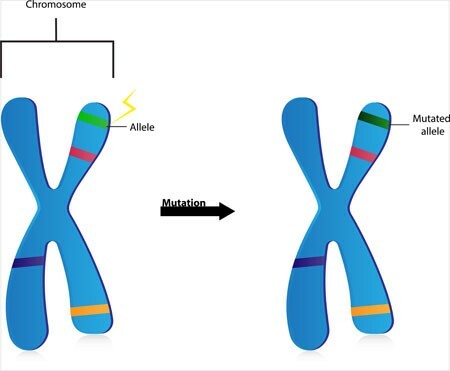 The mutations can alter whether the genes get “turned on” or transcribed (or not), leading to disturbances in the brain’s communication networks. The studies led by Stephan Sanders and Matthew W. State appeared in the journal Nature in late 2014. The identified genes fall into three categories. Some affect the formation and function of synapses, where messages between neurons are relayed. Others affect transcription, the process by which genes instruct cells to produce proteins. Genes in the third category affect chromatin, a sort of packaging for DNA in cells. Before the new studies, only 11 genes had been linked to autism, and the researchers involved expect to find that hundreds more are related to the illness. Editor’s Note: This new research explains how autism could be increasing in the general population even as most adults with autism do not have children. It should also put to rest the idea, now totally discredited, that ingredients in childhood immunizations cause autism. It is clearer than ever that kids who will be diagnosed with autism are born with these mutations. With these genetic findings, the search for new medications to treat this devastating illness should accelerate even faster. Bottom line: Childhood immunizations don’t cause autism, newly arising mutations in the DNA of parents’ eggs or sperm do. However, parental behavior could put their children and others at risk for the measles and other serious diseases if they do not allow immunizations. The original data linking autism to immunization were fraudulent, and these new data on the genetic origins of autism provides the best hope for future treatments or prevention. In a six-month study of Caucasian patients, normal variations in the gene that is responsible for brain-derived neurotrophic factor (BDNF) predicted whether patients would respond better to a selective serotonin reuptake inhibitor (SSRI) antidepressant versus a serotonin and norepinephrine reuptake inhibitor (SNRI) or a tricycle antidepressant. 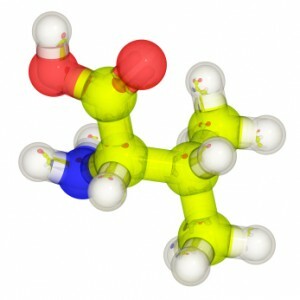 There are several common variants of the BDNF gene, depending on which types of amino acids appear in its coding—valine or methionine. 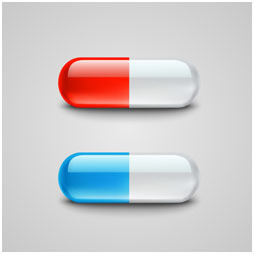 Patients with the most common version, two valines (or Val66Val), responded better to SSRIs. About two-thirds of the population has this version of the gene, which functions most efficiently. The remaining third have at least one methionine in the BDNF gene. Patients with a Met variation responded better to SNRIs and tricyclic antidepressants. The study by R. Colle and colleagues was published in the Journal of Affective Disorders in 2015. Of the patients who were prescribed SSRIs, 68.1% of patients with the Val/Val version responded to the medication after three months, compared to 44% of the patients with a Met version. Of patients prescribed SNRIs or tricyclics, 60.9% of the Met patients reached remission by six months, compared to only 33.3% of the Val/Val patients. Editor’s Note: In an earlier BNN we reported that according to research published by Gonzalo Laje and colleagues in the journal Biological Psychiatry in 2012, depressed patients with the better functioning Val66Val allele of BDNF respond best to ketamine, while those with the intermediate functioning Val66Met allele respond less well. While attention-deficit hyperactivity disorder (ADHD) is fairly common among people with bipolar disorder, the genetic risks of inheriting these two illnesses run separately in families. In a recent study of 465 people and 563 of their first-degree relatives by Susan Shur-Fen Gau and colleagues, people with bipolar I disorder were likely to have relatives with bipolar I disorder, and people with ADHD were likely to have relatives with ADHD, but ADHD did not increase risk of bipolar disorder and vice versa. The researchers hypothesize that other reasons people might develop both disorders include developmental precursors to the illnesses, neurocognitive functioning, sleep problems, and personality traits such as impulsivity and disinhibition. Editor’s Note: At a recent scientific meeting, Gau and her colleague Kathleen Merikangas said that people with bipolar disorder in the study were five times more likely to have relatives with bipolar disorder. Bipolar disorder and ADHD were comorbid in 37.8% of those with bipolar I disorder, 16.4% in bipolar II disorder, 14% in depression, and 1.1% in normal controls. Carbamazepine (also known by its trade name Tegretol or, for extended release, Equetro) is one of the most widely used drugs for the treatment of epilepsy, and is relatively underutilized in the treatment of bipolar disorder. One of the reasons is fear of a rare serious rash or other side effects. The risk of the serious rash ranges from about one in 5,000 to one in 10,000. Loss of white blood cells that fight infection (a condition called agranulocytosis) occurs in about one in 20,000 people taking carbamazepine, while a decrease in white blood cells, red blood cells, and platelets (aplastic anemia) occurs in about one in 100,000 patients. There is no way of predicting who will develop the blood disorders in reaction to carbamazepine use. A patient should contact their doctor and get a white blood cell count if they develop some warning signs of these conditions, such as a fever or sore throat without other explanation or signs of bleeding or red spots under the skin (called petechiae) that could indicate low platelets. A genetic test is available that can help estimate the likelihood of the serious rash among certain populations. In those of Asian descent, particularly Han Chinese, Thai, Malaysian, and Indian populations, having a version of the gene HLA-B known as HLA-B*1502 is highly associated with developing the rash. (The odds ratio was 79.84 in a 2013 meta-analysis by Tangamornsuksan et al. 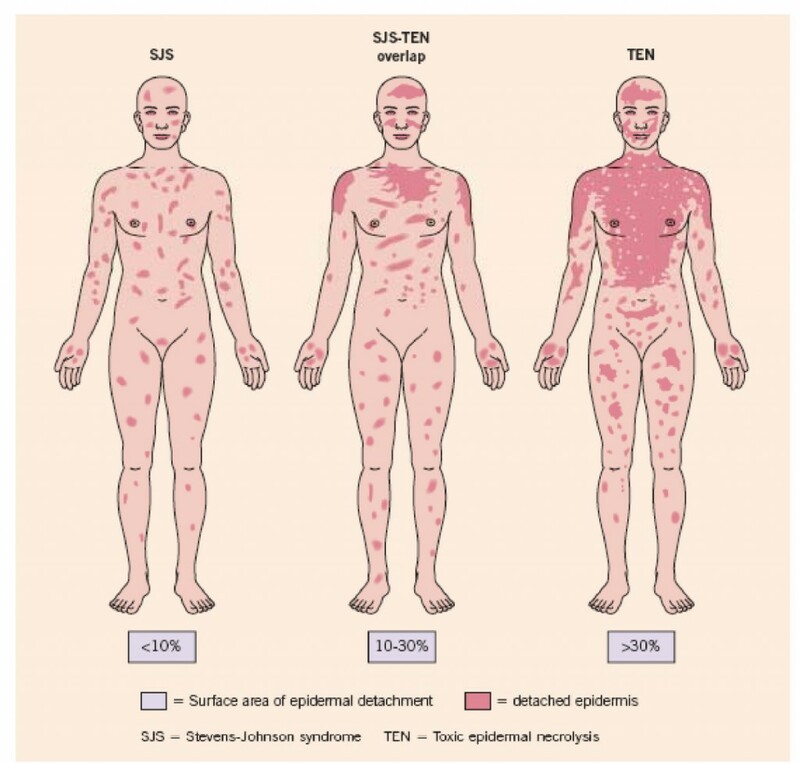 in the journal JAMA Dermatology). In those of northern European or Japanese descent, having a version of the gene HLA-A known as HLA-A*3101 is associated with the severe rash. (Odds ratio for developing the most severe rash was 25.93 in a study of Europeans published by McCormack et al. in the New England Journal of Medicine in 2011 and 10.8 in a study of Japanese published by Ozeki et al. in the journal Human Molecular Genetics in 2011). This HLA-A*3101 gene is present in about 2 to 5% of Europeans and 9% of Japanese. A mild, non-serious rash with redness and itchiness occurs in about 5 to 10% of patients taking carbamazepine, and almost always goes away quickly upon stopping the drug. For patients taking carbamazepine who develop any rash, stopping the drug is the safest and most conservative thing to do. However, those who have taken the HLA test who know they do not have the risk genes and have only the benign rash might want to consider continuing to take the drug. There are a number of reasons why carbamazepine may be worthy of a treatment trial in patients with bipolar disorder who are not doing well on other agents. Carbamazepine works well in many patients with bipolar illness who have some of the common clinical predictors of a poor response to lithium. These include: having dysphoric (anxious, irritable) rather than euphoric mania, having an anxiety or substance disorder comorbidity, having had many prior episodes or rapid cycling (four or more episodes/year), not having distinct episodes with a period of wellness in between, having a sequential pattern of depression followed by mania followed by a well interval (D-M-I rather than M-D-I), having a schizoaffective disorder with delusions or hallucinations that persist after a manic or depressive episode has ended, and having no family history of mood disorders (especially bipolar disorder). Some patients who do not respond to another anticonvulsant such as valproate do respond to carbamazepine. Patients with bipolar depression who have had a prior history of alcoholism may also do particularly well on carbamazepine. A benefit of the long-acting version of carbamazepine called Equetro is that it can be taken at bedtime and thus help with sleep and minimize daytime side effects. Editor’s Note: Carbamazepine induces liver enzymes called CYP3A4 that increase the metabolism (breakdown) of carbamazepine and other drugs. Several drugs that inhibit 3A4 (such verapamil and erythromycin) prevent the breakdown of carbamazepine, causing blood levels of the drug to increase and produce side effects. If you are taking carbamazepine, tell your pharmacist so he or she can monitor any other drugs you are taking for potential interactions with carbamazepine. Knowing about the rare skin and blood side effects of carbamazepine and some of the clinical predictors of a good response to the drug may be helpful in determining whether the potential benefits of carbamazepine outweigh the risks. No one gene explains the risk of developing bipolar disorder. Many genes are involved, each with a small effect. 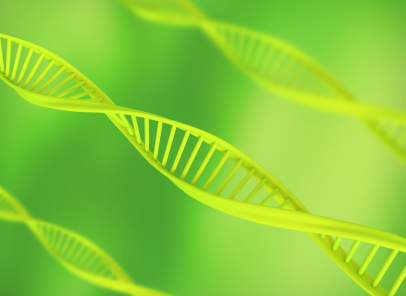 However, the effects of one particular gene have been validated in multiple different ways. The gene is called CACNA1C, and it codes for one subunit of the dihydropyridine L-type calcium channel. Calcium channels are structures on the membranes of neurons that allow calcium to enter cells and alter their excitability. Different people can have different variants of the CACNA1C gene, depending on which nucleotides appear there: valine (Val) or methionine (Met). One particular variant (known as the Met/Met single nucleotide polymorphism, rs1006737) has been associated with executive function deficits compared to the Val/Val variant in multiple tests in patients with bipolar disorder. Executive function refers to abilities like planning, organizing, and retaining information. This was reported by Soeiro-de-Souza et al. in the journal Acta Psychiatrica Scandinavica in 2013. Importantly, CACNA1C has also been linked to risk of bipolar disorder, a finding that was replicated in several large genome-wide association studies (GWAS). Autopsy studies of people who had been diagnosed with bipolar disorder show more calcium channels in their brains. The Met/Met variant of the CACNA1C gene also lets more calcium ions into cells. Those who have the gene variant also show differences in some brain structures known to be involved in the modulation of emotions compared to those without the variant. In addition to these findings, more than a dozen studies report increased intracellular calcium in the white blood cells of people with bipolar disorder compared to controls. To the extent that these increases in intracellular calcium reflect changes in neurons, this would be consistent with the findings about CACNA1C. High levels of calcium influx and the associated intracellular calcium may increase cellular excitability and potentially dysregulate normal neuronal functioning. The final piece of evidence linking altered calcium channel regulation to bipolar disorder is a direct therapeutic test of a drug that blocks calcium influx through the dihydropyridine L-type calcium channel. There is evidence that nimodipine, which selectively blocks dihydropyridine L-type calcium channels, has therapeutic effects in bipolar disorder. A mutation in a gene related to circadian rhythms may help explain bipolar disorder. Animals with a mutation in the gene, known as CLOCK, typically exhibit behaviors that mimic human mania, such as increased locomotor activity and decreased anxiety. Stress can lead to depression in bipolar patients, so researcher Nicole Edgar et al. exposed animals with the mutated “manic” version of the CLOCK gene to unpredictable chronic mild stress. The stress brought about decreased locomotor activity and increased anxiety, mimicking a switch into depression. These data suggest that alterations in CLOCK genes may provide a useful model for both mania and depression. The research was presented at the 2013 meeting of the Society of Biological Psychiatry, and the abstract (#471) can be found in the meeting supplement, Volume 73, Number 9S of the journal Biological Psychiatry. In another abstract (#472) at the same meeting, researcher Wilbur Williams et al. reported that alterations in related clock genes (that result in decreases in the proteins CRY-1 and SIRT1) are associated with manic-like behavior that could be reversed using lithium. These data further suggest that clock genes may provide a useful model for bipolar disorder.